"Today we stood strong against this Nazi oil bought police force. 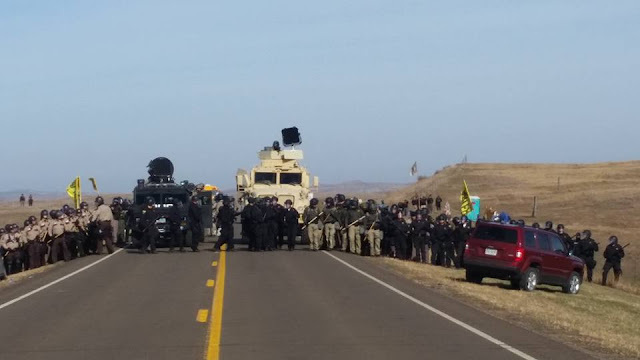 They set off LRAD on us, hit us, maced us, arrested our grandmothers, uncles, they shot at our horse relatives, they set off concussion grenades, rubber bullets into the unarmed crowd. They desecrated sacred land and destroyed our homes on tribal land. We had snipers scoping me out with an assault rifle pointed at me and my relative. Our hearts were wounded but we will regroup and keep our minds in high vibrations because it is not over. Vic Camp, "We need help. We are surrounded. The government is moving us out." Camps said his Aunt Casey Camp, his mother and many relatives were arrested. 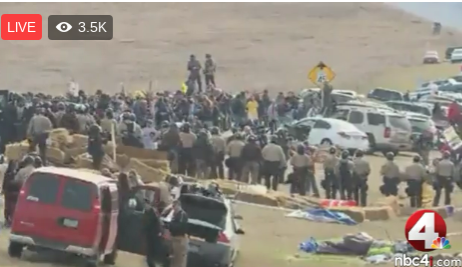 "Hundreds of people have been arrested." "We need help my relatives." 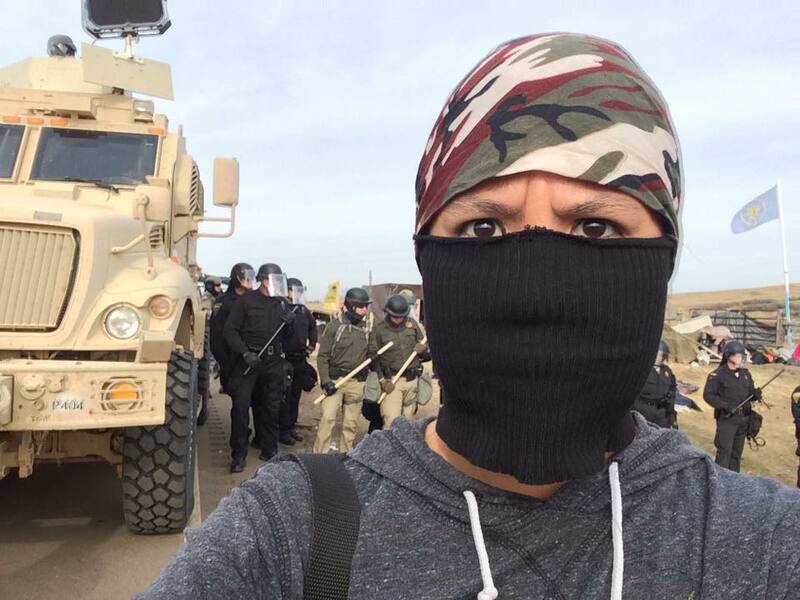 OYATE MEDIA NETWORK: Percussion grenades used on large crowds. Ambulances are running full force here at Oceti Sakowin camp. 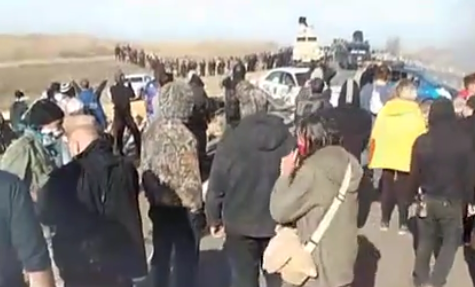 Rubber bullets fired at protectors, elders pepper sprayed and arrested. Ponca grandmother Casey Camp arrested. Police fire bean bags, pepper spray. Horse rider shot 4 times with rubber bullets. 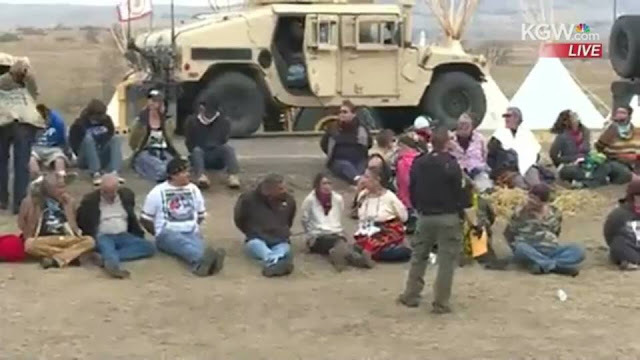 Elders arrested in ceremony. One person tasered in face. Cuny Dog has called all AIM Chapters to the front line. Just now, a herd of buffalo has come and cheers went out. 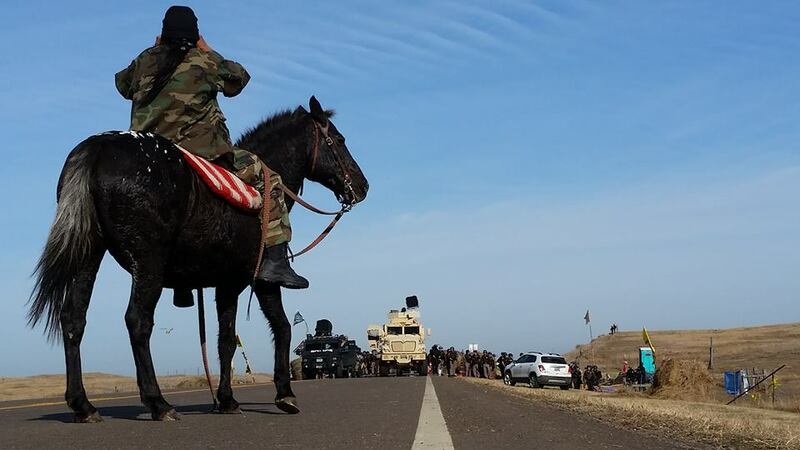 Water Protector: "I saw an 18 year old young man get shot while on a horse today--then his horse. I was standing 20 feet away. I saw young warriors on horse being chased on ATV's, being shot at. I saw our former chairman get arrested. I saw an Unci get maced right in the face. 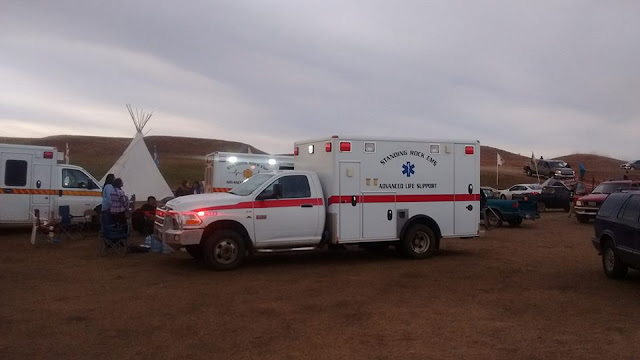 I saw the cops drag two men from the sweatlodge, feet from me, in their underwear and slammed face down into the ground and arrested. All these crimes were committed against our people on land guaranteed to our people under the Fort Laramie Treaty of 1851." Live feeds are being jammed. 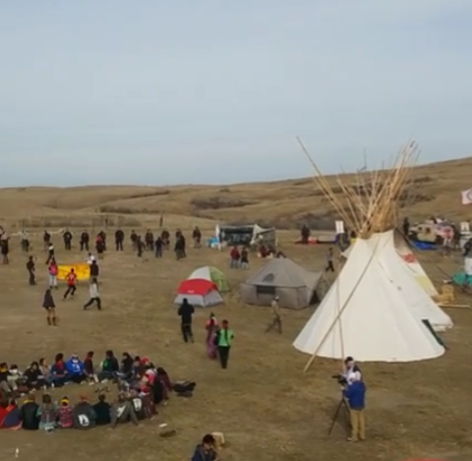 Treaty Camp Surrounded. Chief Arvol Looking Horse asks religious leaders to come stand with the water protectors. Frontline Treaty Camp. 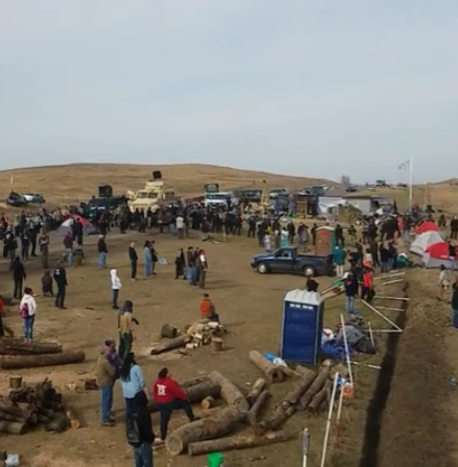 New camp on pipeline path at Standing Rock. These last 2 buses were empty going south on Hwy 6. Everybody at the big camp go to the frontline Treaty camp now. Seven buses (3 with troops, the rest empty) escorted by 8 Highway Patrols and 2 deuce and a halfs just now confirmed going south on Hwy 6 about 4 miles south of Mandan at 9:35 am Central time. 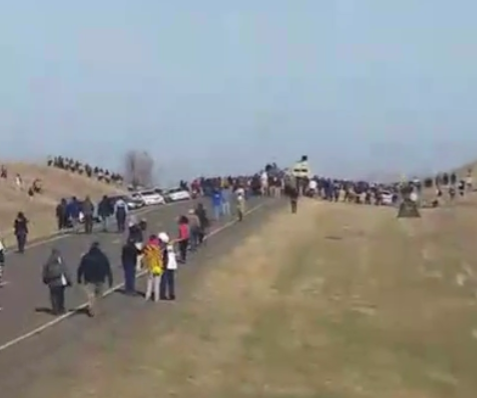 Stay in the ditch if you don't want to be arrested but go to support! They may be trying to surprise from the south access on 1806. Be alert it takes them 40 minutes to get there so by 10:30 am you will know. By Robert --- "At 9:30 am Thurs. morning. There are private security roaming around and and an encampment of cops and military over the hill. I suppose they believe if we can't directly see them then we won't know they are there ha. Still, it's a beautiful day and relatively warm. Enjoy your day and keep pushing out the news about what's happening here." 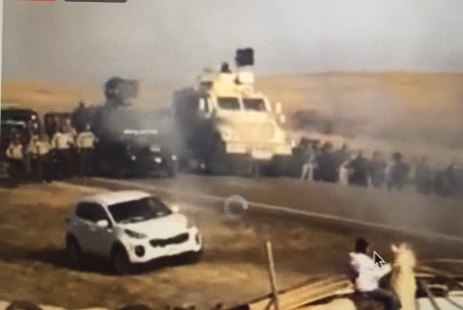 "Militarized law enforcement agencies moved in on water protectors with tanks and riot gear today. We continue to pray for peace. We call on the state of North Dakota to oversee the actions of local law enforcement to, first and foremost, ensure everyone’s safety. 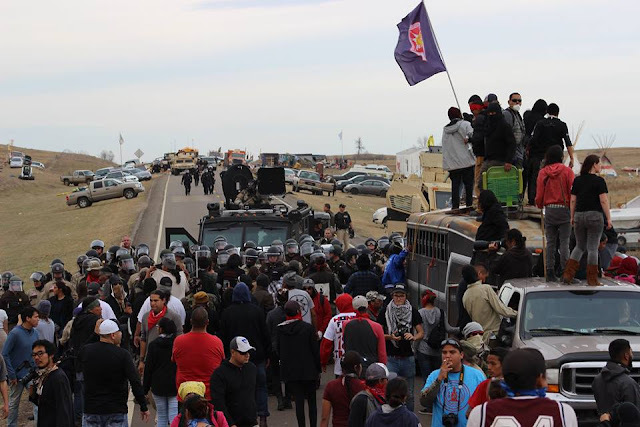 The Department of Justice must send overseers immediately to ensure the protection of First Amendment rights and the safety of thousands here at Standing Rock. DOJ can no longer ignore our requests. If harm comes to any who come here to stand in solidarity with us, it is on their watch. They must step in and hold the state of North Dakota and Morton County accountable for their acts of violence against innocent, prayerful people. We also call on the thousands of water protectors who stand in solidarity with us against DAPL to remain in peace and prayer. Any act of violence hurts our cause and is not welcome here. We invite all supporters to join us in prayer that, ultimately, the right decision—the moral decision—is made to protect our people, our sacred places, our land and our resources. We won't step down from this fight. As peoples of this earth, we all need water. 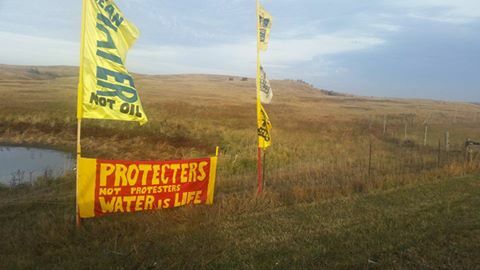 This is about our water, our rights, and our dignity as human beings." Where does President Obama stand on this issue? I have contacted the phone line to protest. Surely you have. Has there been a response? sgusting. I keep "seeing" in my minds eye, the first lady and president hosting their last state dinner with her in a $12,000 Versace gown. "New York Times fashion and style writer Vanessa Friedman has praised the gown that she says “went far beyond being simply an ambassadorial nod to a guest country’s talent.” Friedman claims the dress, crafted of rose gold chainmail, also “made a powerful subliminal statement. 'As much as it was gracefully cut and draped,” Friedman wrote, “it also spoke of armor and female strength, of the need to gird yourself to fight for what you believe in.'" Then I see the water protectors being attacked with piercing sound, dogs, militarized police, national guard, pepper spray, batons ... and I concur that POWER CORRUPTS. New Moon Prayers Needed! Chanupa Opagi, hetcha elo! New Moon Prayers Needed, Human Beings of Conscience! Chanupa Opagi Pi! Hechelo! Tokiya Kola ! the president is non-existent. 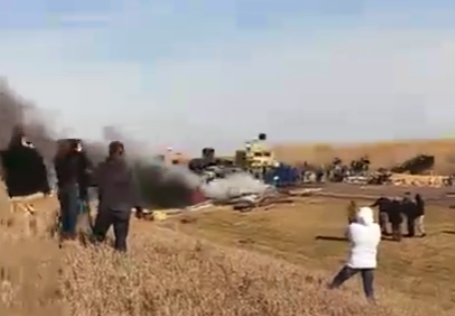 the US govt died in North Dakota today. we have a corrupt govt, period! also, twitter is blocking this page. everytime i try to tweet this pages articles out, twitter blocks it saying they think it is spam. FOE THE PEOPLE BY THE PEOPLE YEAH! Marshall law declared in America. Its time to rise up and march on the Capital in North Dakota and DC. This govt has murdered children and elderly. Its over and we all need to DO SOMETHING NOW to stop this mayhem. Enough is enough.